ChargePoint Installer by Echo Electrical Services, Inc. Looking for a contractor to install a ChargePoint at your location? 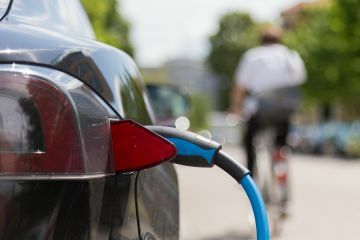 Serving the rapidly growing market of electric vehicle owners is rewarding on many levels. You can tap into the potential that this holds by choosing a qualified electrician to install your ChargePoint (AKA EV Charging). Echo Electrical Services, Inc. has completed all requirements to become a Certified ChargePoint Installer in the area. Since 2005, Echo Electrical Services, Inc. has built a solid reputation and is regarded as a local favorite for electrical services. Give us a call today at (817) 369-5967 to find out how easily you can have a charge point installed on your property. Who Benefits from Installing a ChargePoint? Employers. Attract and recruit great employees and show you care about the carbon footprint that your employees emit in their daily commutes. Become a beacon of growth and progress in your community. Gas Stations. Shopping Plazas. The user base is growing. People want to patronize establishments that value sustainability and environmental responsibility. In addition, wouldn't you love your business to be the place people hang out while their electric vehicle is charging? Tap into this exploding market by adding a charge point for your employees and customers.